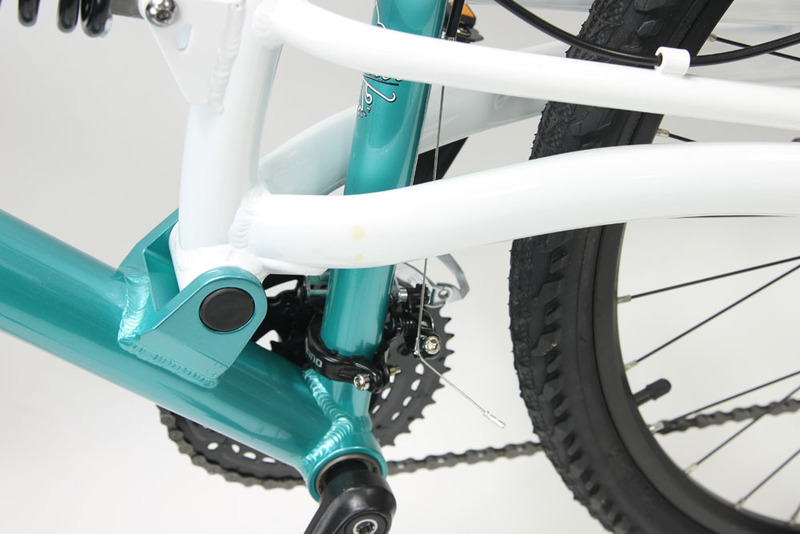 Due to factory updates, rear shock may be mounted to upper (shown) or lower main tubes. Does not affect function. 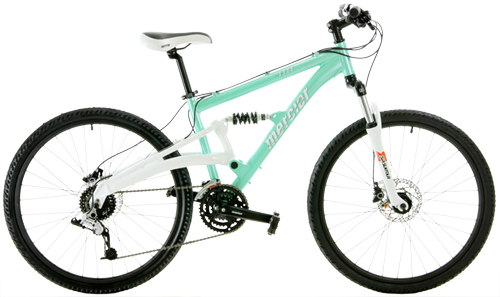 The Deal: bikes are available for now See Pull down menus. Warning: At the special Price, sizes always sell out fast. *Order now to lock in your sale price and selection. The price may go up $200 or more when sales goals are met. The Process: When you order, your card will be billed for the full amount. You will get an auto-email the next business day. Fri/Sat/Sunday orders get an email on Monday. Wknds/Holidays are not counted as "days". Make your ride a Full Suspension for the Ultimate in comfort. 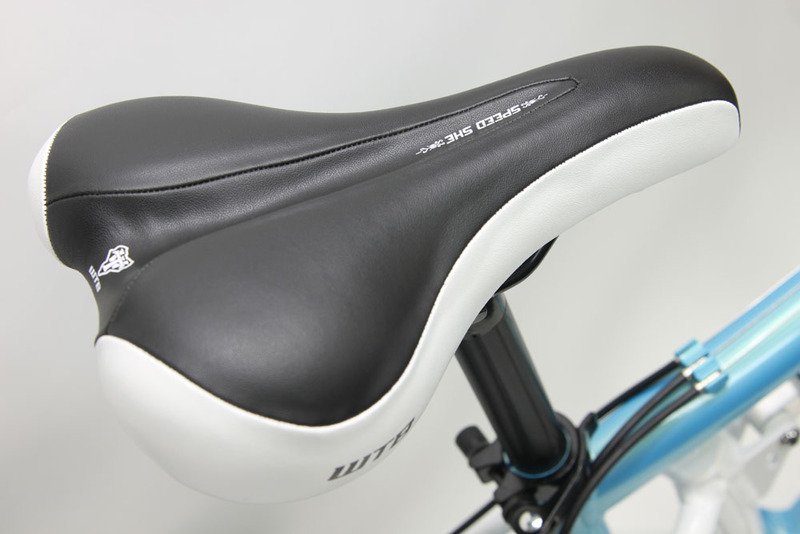 PLUS - Women Specific Speed She WTB Saddles, specially designed for you. 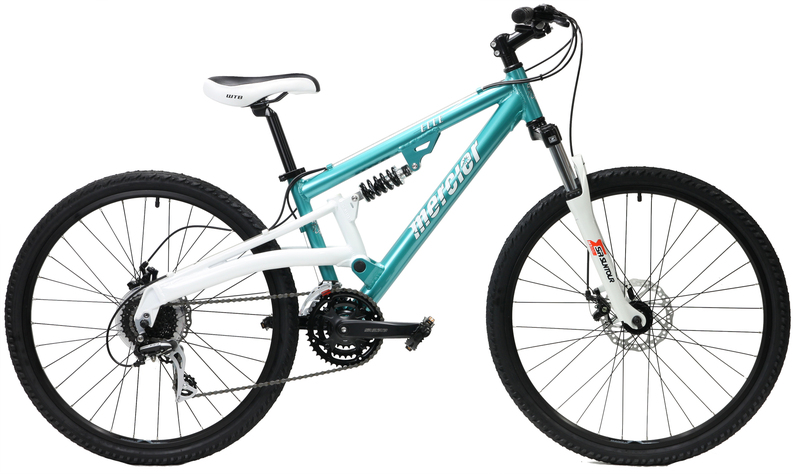 These Full Suspension mountain bikes feature Advanced Aluminum frames with a Hydroformed tubes, advanced CantiBeam single-pivot rear suspension and trail-ready geometry. Powerful Shimano Hydraulic disc brakes and wide range SRAM / Shimano 24 speed drivetrain for light action, easy on the fingers, smooth shifting on rough terrain. The plush Suntour suspension fork further smooths the terrain. 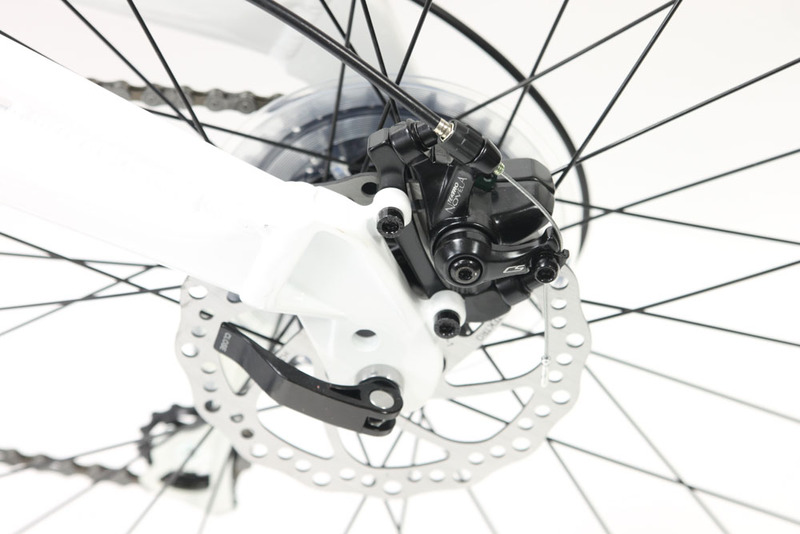 Adjustable preload provides maximum efficiency. Incredibly specified with precision SRAM rear derailleur, tough SunTour Cranks, strong Double-wall rim wheels, Powerful Shimano Hydraulic Disc brakes, Adjustable Suspension fork. 14 inch | Standover = 26.75" | fits most 5'2" to 5'5"
16 inch | Standover = 27.75" | fits most 5'6" to 5'9"
These frames are UniSex; in smaller sizes to fit women/smaller riders. In the bike industry factories mark unisex boxes 'mens'. These frames are UniSex; this has smaller sizes to fit women. In the bike industry factories mark unisex boxes 'mens'.